We seem to be in the depths of winter now, with miserable weather and dark evenings lowering everyone’s mood. 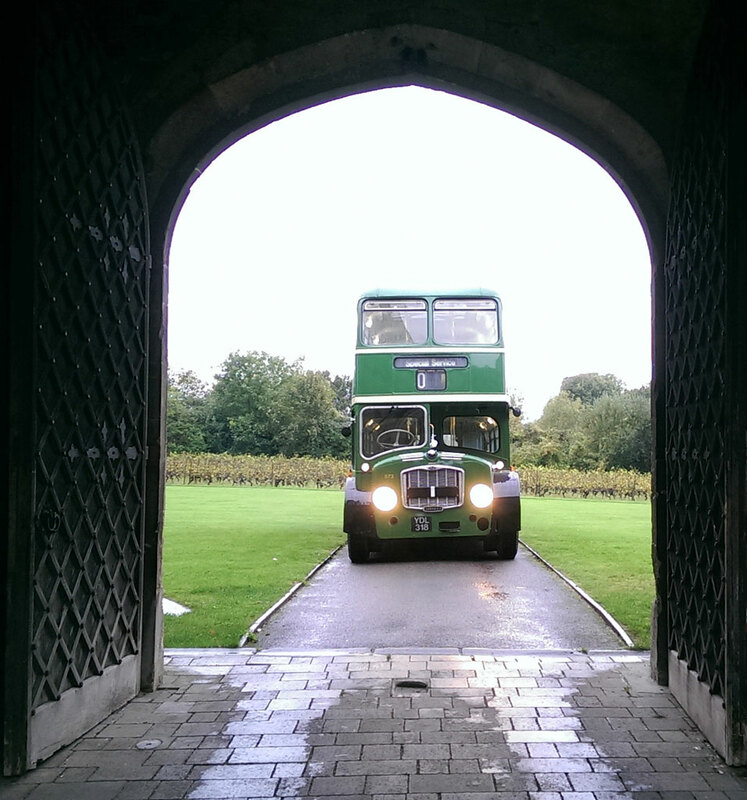 So I thought I would do a roundup of some of my autumnal perambulations with heritage buses. 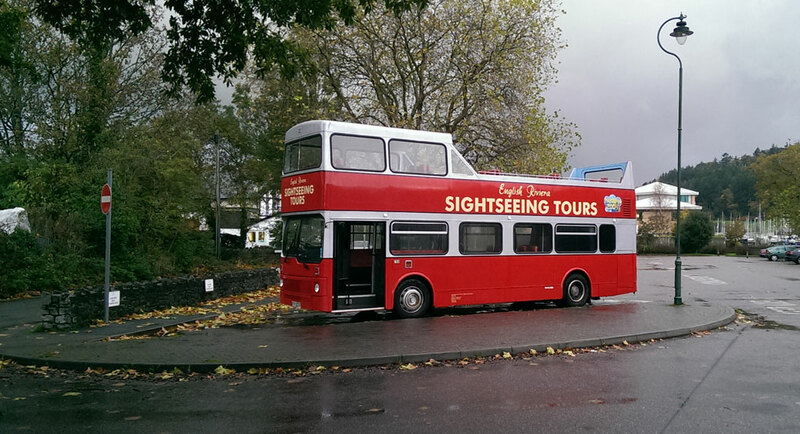 The open top sightseeing tours actually finished on October 2nd, the weather having remained unusually bright and mild until then. Normally the season ends on September 31st. On the last day, even before the engine had cooled, I took the ex-Southport Corporation PD2 to her winter quarters, a secure location ‘somewhere in South Devon’. Here she is, in company with an open top Bristol VRT. 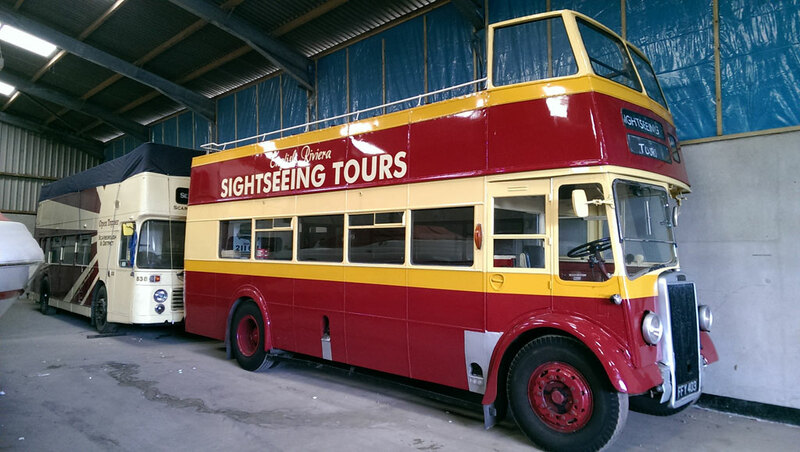 The ‘standby bus’, a 1982 ex-London Transport MCW Metrobus, would join the PD2 later. 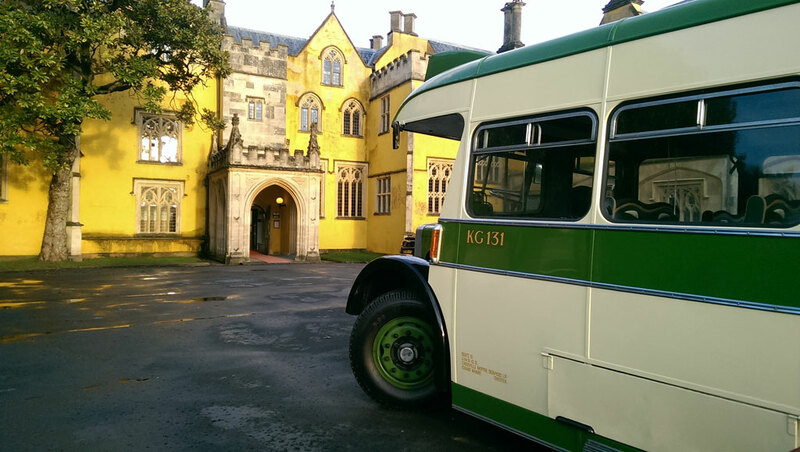 A few private hire jobs for Crosville have also come and gone (unrecorded by this blog thus far) including trips to Kingston Seymour, Frome, Thornbury Castle (pictured left) and Ashton Court (pictured below). 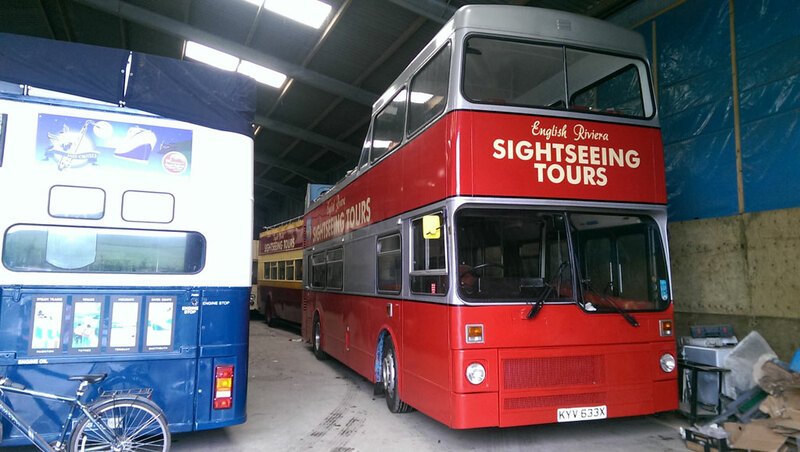 The Torquay-based open top Metrobus had to remain on the road a little longer as her MoT was due and I took her down to the Plymouth Citybus depot at Milehouse for this. She stayed there for a week or so to have some chassis and braking issues sorted out before she regained her Class 6 status. On my way back to Torquay I passed through Totnes and couldn’t resist parking her up at Steamer Quay where I often used to park while driving for Rail River Link last year! As you can see, it was a very wet day and the bus was running with water by the time I got back so before long I was called upon again to take her over to the storage facility for the winter. There she joined her sightseeing stablemate, along with several other vehicles very familiar to your writer! Coming bang up to date, today I completed a day-long Road Traffic Incident and First Aid course. This is part of my Driver CPC periodic training. I have to carry out 35 hours of classroom-based training every 5 years to keep my professional driving qualifications current. It wasn’t all theory, all the candidates had to take part in a series of test scenarios where assessment of casualties, use of bandages and CPR were covered. In one of these I took the part of a casualty with a damaged shoulder and a massive leg injury. There wasn’t any fake blood but there was plenty of simulated pain! Unfortunately, the two candidates who were assessing and treating me didn’t pick up on my bleeding leg (a sticky label on my trousers took the place of blood) so, while they successfully strapped up my shoulder, I went into shock and died from loss of blood! Fortunately this was all play-acting, otherwise I would be writing this from ‘the other side’. At the moment I have two more private hire jobs in the diary for 2014. As they are both in December, I may have to dig out some warm gloves and my big Tilling overcoat!